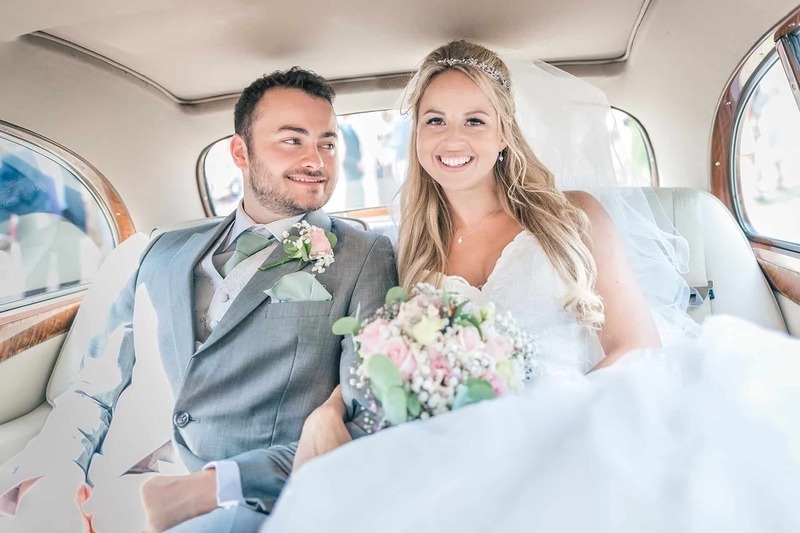 If you’re looking for a creative yet professional Kent wedding photographer who’ll work with you to understand your ideas for your big day, and will create beautiful, elegant and natural images captured in a relaxed and creative way, then that’s exactly what I offer. Friendly, relaxed and professional, I’ll capture the story of your special day with a stylish blend of classic & candid wedding photography. Combining classic wedding photography with more natural portraits and candid shots, I create images that are full of character and style, whilst capturing all those special little moments as they unfold. How would I describe my style? Not traditional, not cutting edge, just beautiful, simple and elegant photography. Timeless, but with individuality and style. I pride myself in making you look stunning and providing you with beautiful memories to treasure. Take a look through my wedding photography gallery and you’ll see that I’m passionate about telling your story. I’ve been a full-time Kent wedding photographer for many years and have many weddings across the UK. Friendly and relaxed, my approach to weddings is professional yet unfussy. I’ll do everything I can to make you feel comfortable in front of the camera and avoid interfering too much in your special day. Choosing the right Kent wedding photographer to document your wedding day is an important decision. Photographs are a lasting reminder of your big day. They’re a record all the effort you’ve put in – the venue, the guests, the little details and of course, the dress in all its glory. I’ll be with you throughout the whole day: from the fun and nervousness of the bridal preparations, all the way through to when you take your first dance together. You’ll receive a minimum 600 wedding photos with every photo carefully edited. You’ll have full ownership of your photos. You can print, copy and share all the wedding photographs with family and friends. You’ll have you own password protected gallery where images can be downloaded. Full details of my packages can be read on the wedding photographer prices page. Take a look through my Kent wedding photography gallery and you’ll see that I’m passionate about telling your story. I pride myself in making you look stunning, capturing your natural beauty and all the emotion of the day. East Quay Wedding Venue Whitstable Kent wedding of the rather lovely Hetty and Luke. Lisa and Sean held their big day at the wonderful The Secret Garden near Ashford. The Old Kent Barn wedding of Rachel and Charlie. An engagement photo shoot is a great way to becom more relaxed in front of the lens. You’ve probably never been photographed professionally before and an engagement shoot will give you an insight in what to expect with your wedding photography. My family portrait photo shoots are relaxed, informal and lots of fun. I work on location at your home or a nearby special location for your family. I’ll capture beautiful natural images of you and your loved ones. Just let your personality shine and I’ll do the rest. Having four kids myself certainly helps me to capture those relaxed shots of your little ones. I’ll make everyone feel really comfortable in front of the lens giving you beautiful photos and memories to treasure. Birthdays to christenings; parties to family reunions; formal events to engagements. Relaxed, informal and lots of fun, I’ll create some wonderful and natural memories for you.